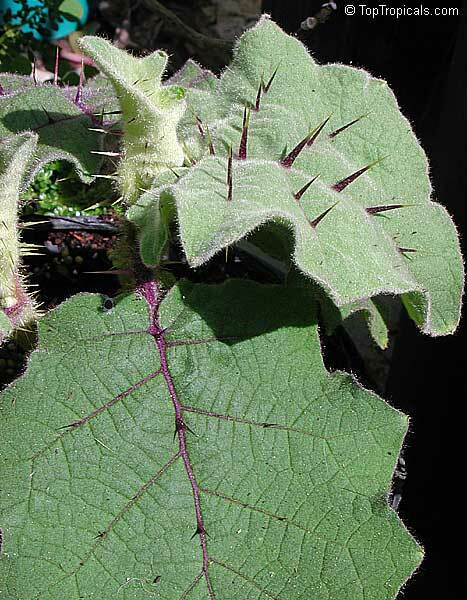 This is an interesting plant with its red-veined leaves and murderous looking spines on both leaves and stems. 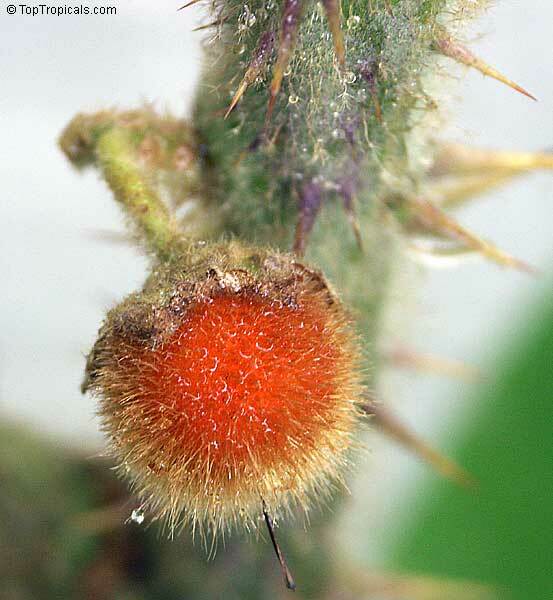 The large thorns grow out from stems, branches, and leaves. 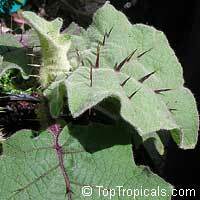 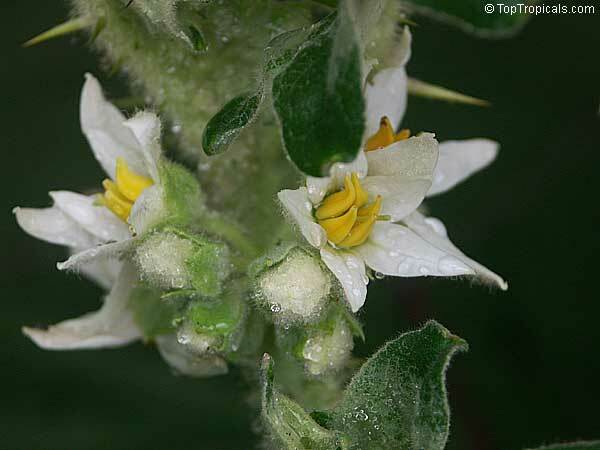 The spines are quite harmless however, and cause no problem as they cannot leave the plant. 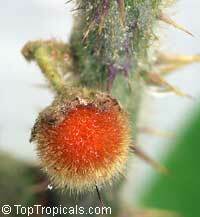 The pink buds open into white flowers which are followed by golf-ball size seed pods with a fuzzy coating. 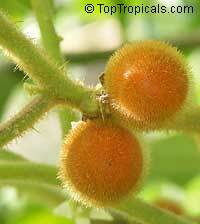 It requires a long growing season, if the fruit is to mature in zone 5a - start the seeds early. This small perennial shrub cultivated in uplands of South America for its edible bright orange fruits resembling tomatoes or oranges. 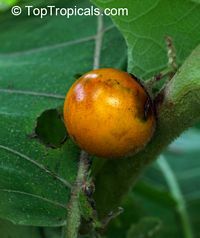 Bright orange fruit about the size of a large cherry tomato. 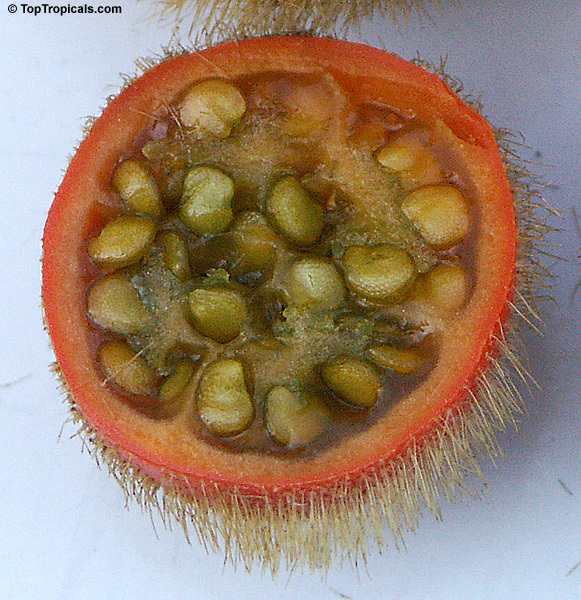 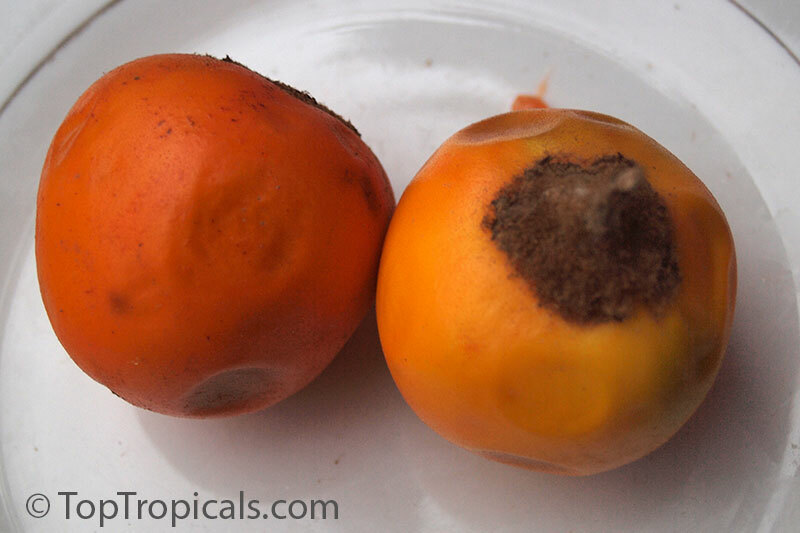 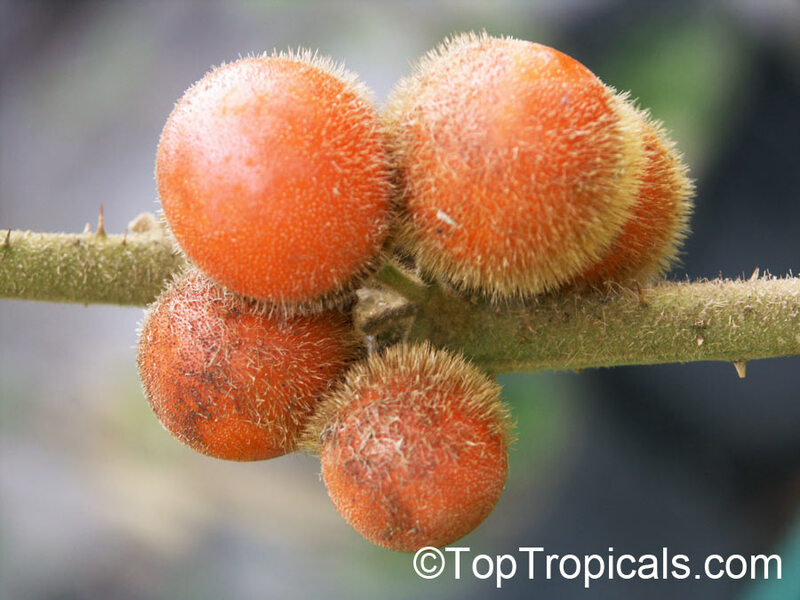 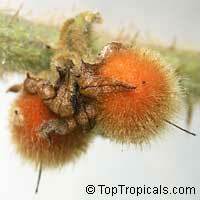 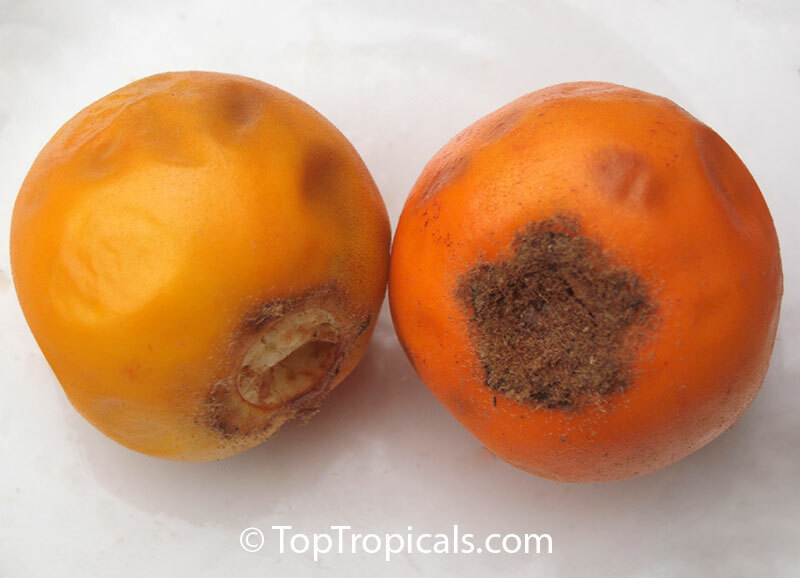 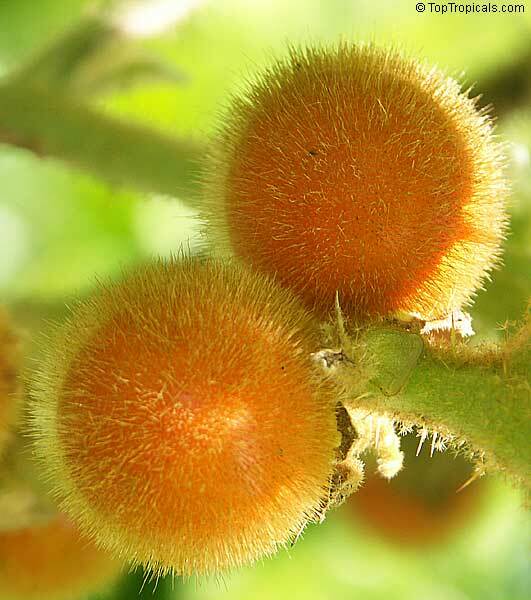 Fruits are covered with numerous fuzzy hairs that rub off when ripe. 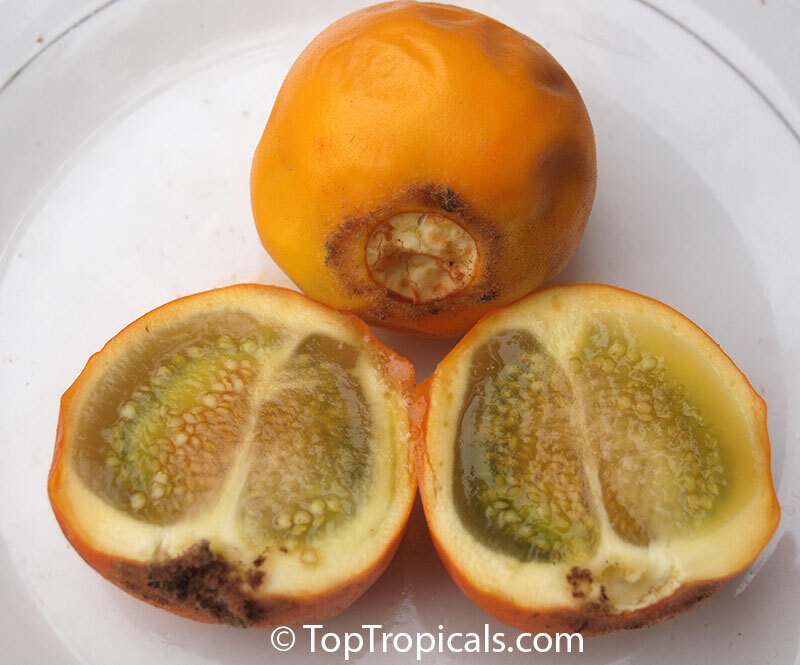 Pulp is yellow to greenish, sweet-and-sour and of excellent flavor. 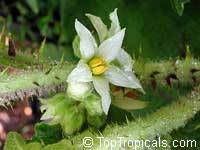 Eaten fresh, but most commonly used to make drinks. 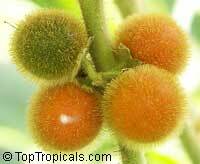 Is also used in preserves and desserts. 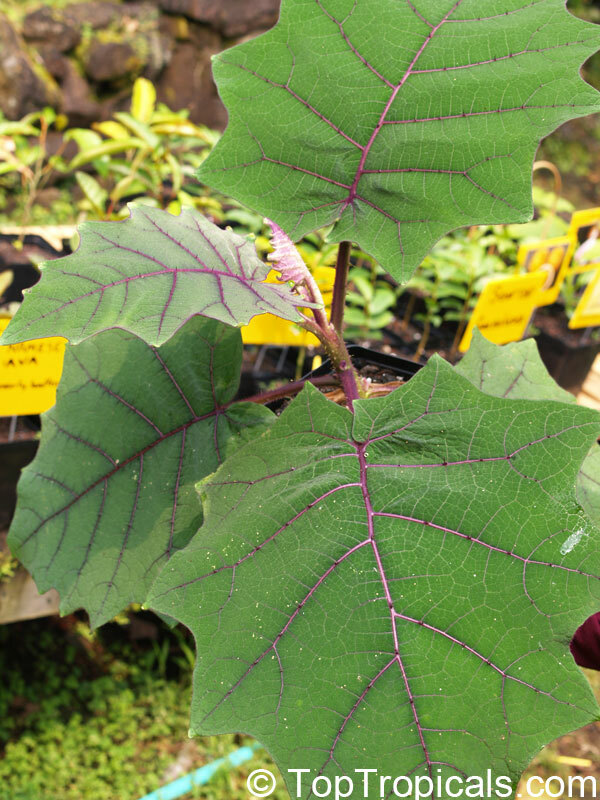 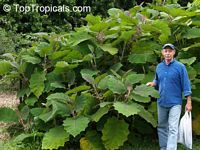 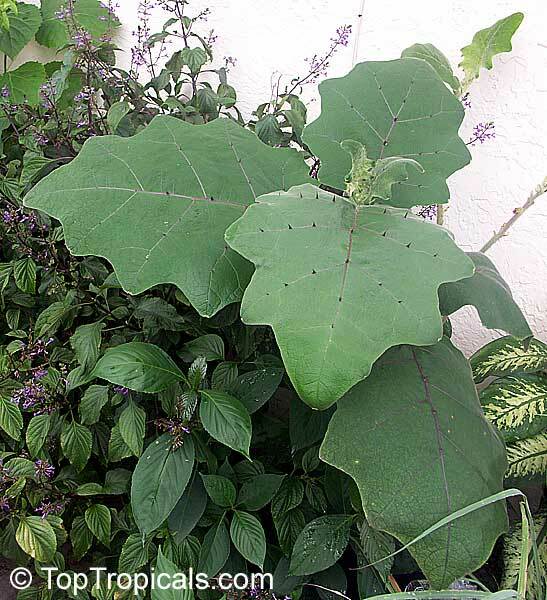 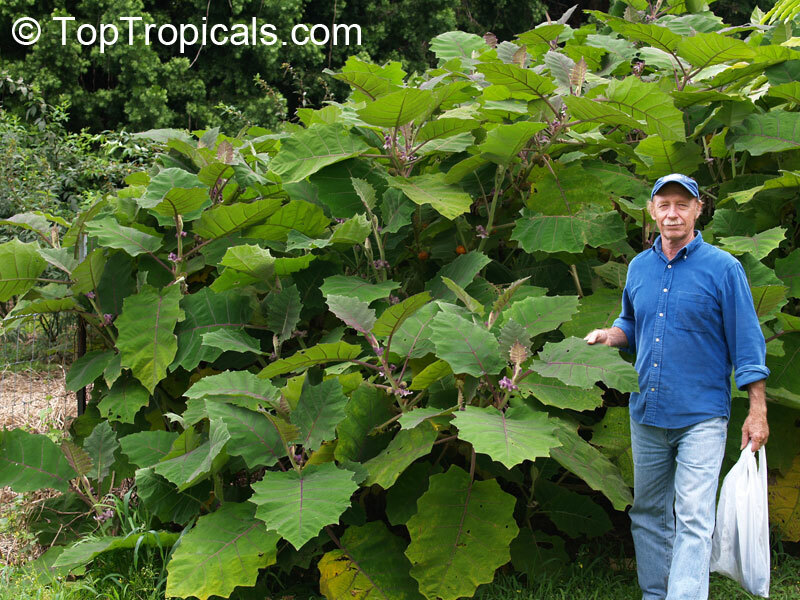 The naranjilla is subtropical and enjoys slightly cooler than tropical temperatures. 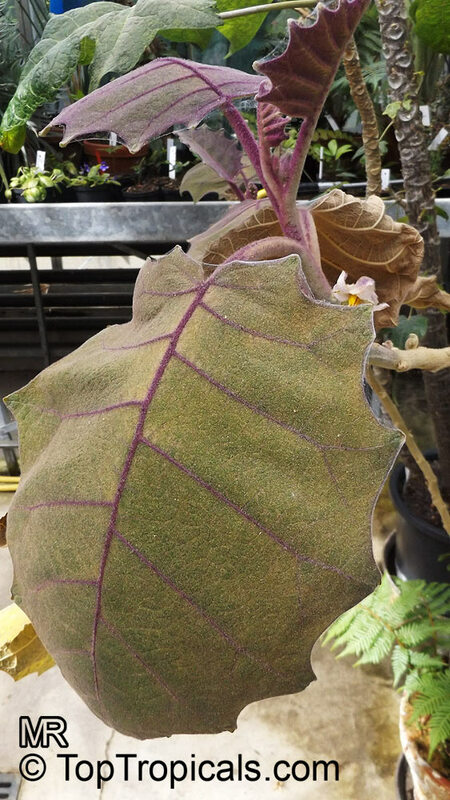 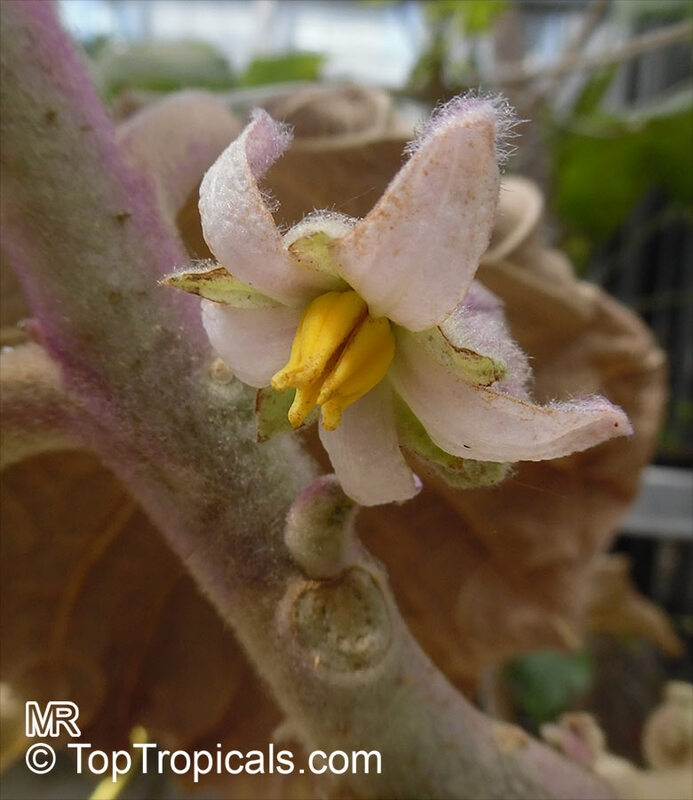 Naranjilla's like frequent watering and can stand brief temperature drops below freezing. 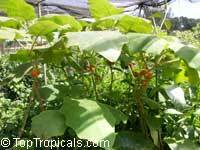 It is easily container grown, and is often done so in areas with nematode problems as it is susceptible to root nematodes. 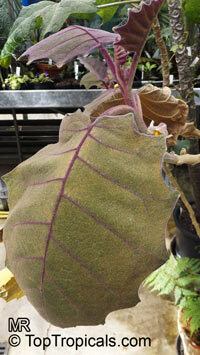 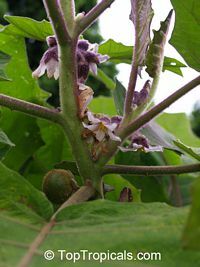 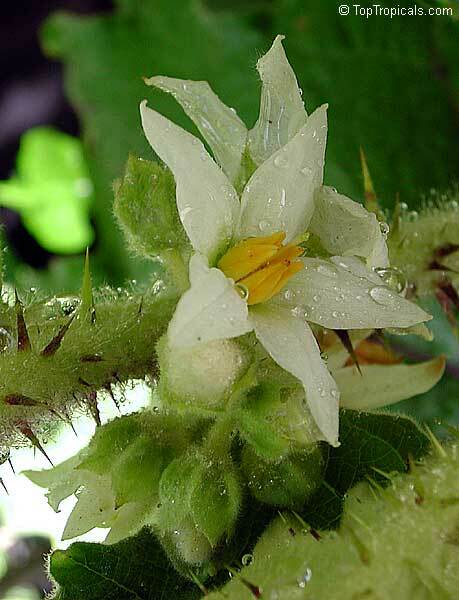 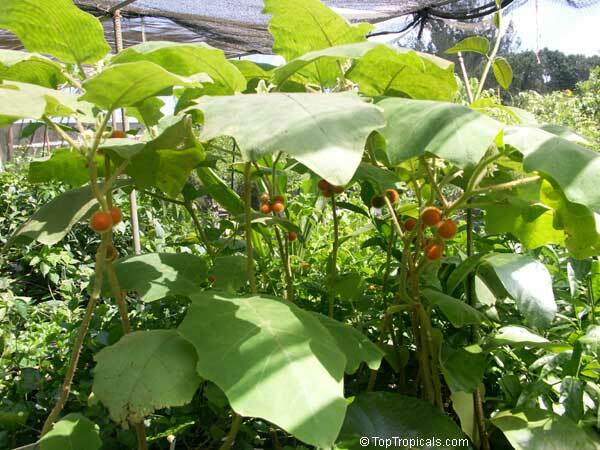 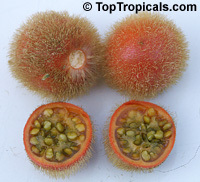 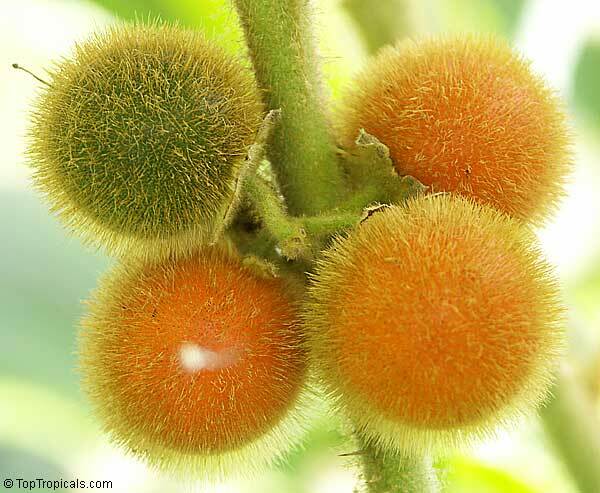 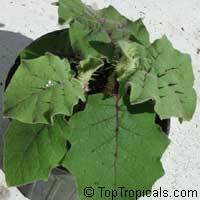 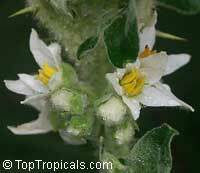 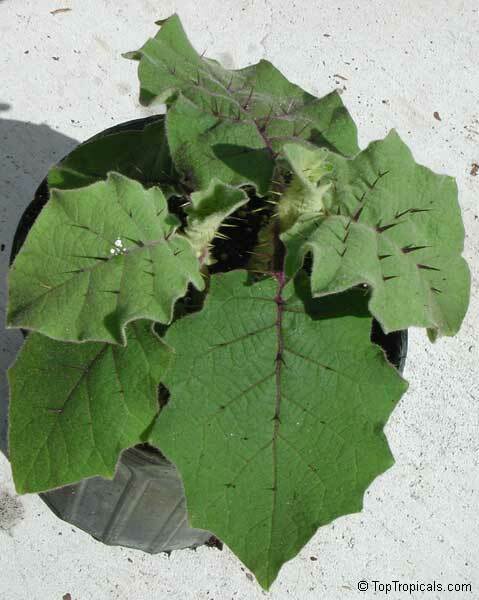 The naranjilla is thought the be a short day plant, and may only set fruit when there are 8-10 daylight hours. Propagation: By seed and root cuttings. 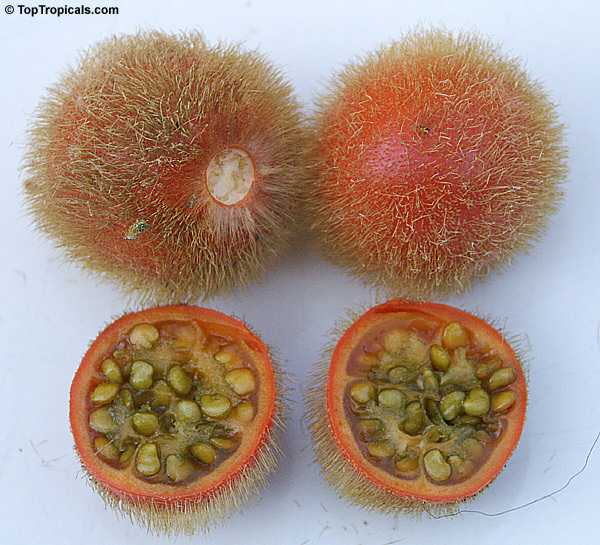 Read more about this fruit. 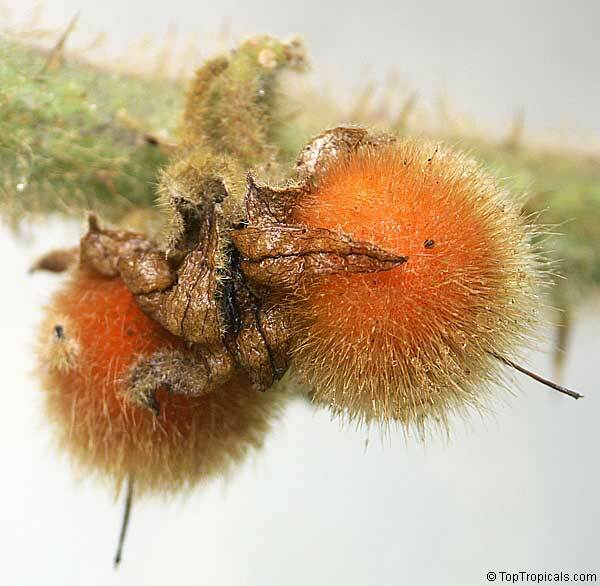 This is an interesting plant with its red-veined leaves and murderous looking spines on both leaves and stems, its edible bright orange fruits resembling tomatoes or oranges. 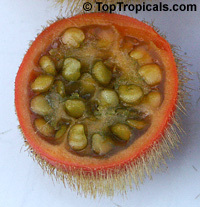 In South America, it is very popular fruit for making beverages.